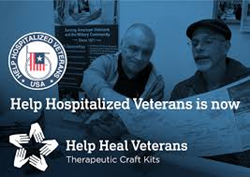 Plaid donates over one million dollars in craft supplies to help wounded veterans. With Plaid's help, we’re able to increase the number of veterans served and help them and their families achieve a “new normal," said CEO Joe McCain. About Plaid Founded in 1976 by David Cunningham, Plaid Enterprises, Inc., is one of the world's largest, most diverse manufacturers of creative do-it-yourself products. Plaid's product innovation and dedication to the ever-changing needs of consumers have made the Plaid family of products among the most recognized and desired brands worldwide. Notable brands in Plaid's portfolio include FolkArt, Apple Barrel, Delta, Bucilla, Martha Stewart Crafts, and one of the industry's best known, Mod Podge, a favorite since 1967.